For many years (since I was an art student in London in 1961) I have wanted to paint a picture of the Thames from one of London's bridges. 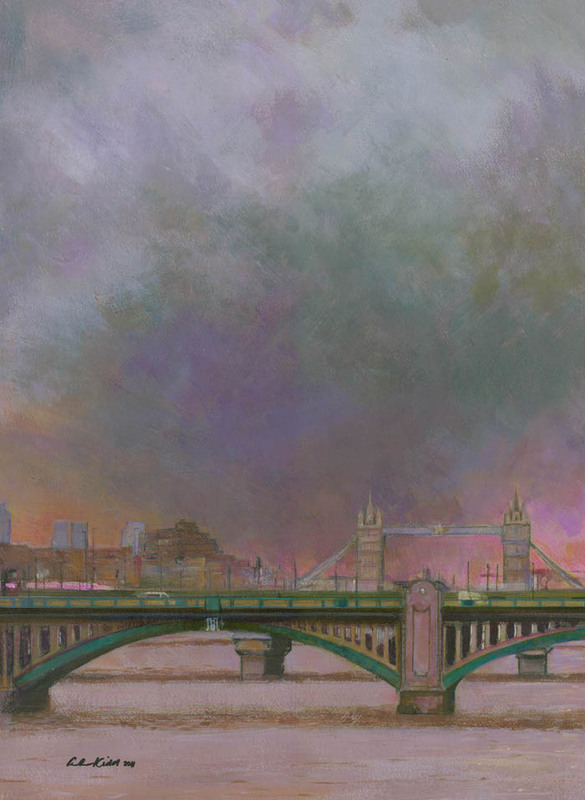 This painting was inspired by a rainy day in London and some photos I took from the 'Millennium Bridge'. I have altered the colours somewhat and made it a little more colourful and intimidating than it really was! For more information see London's Bridges in my news pages!